We are 12. Photo by John Loughlin/Woodland Park Zoo. 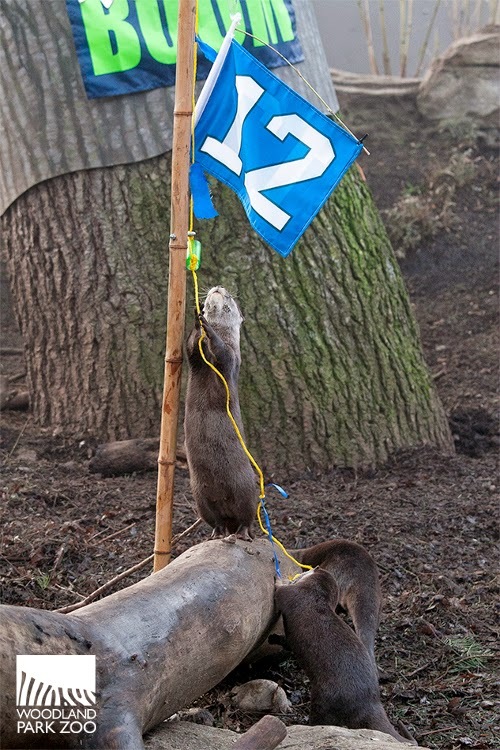 The Mini Legion of Boom—Asian small-clawed otters Sherman, Thomas, Chancellor and Maxwell, huddled to raise the 12 Flag in their exhibit today. 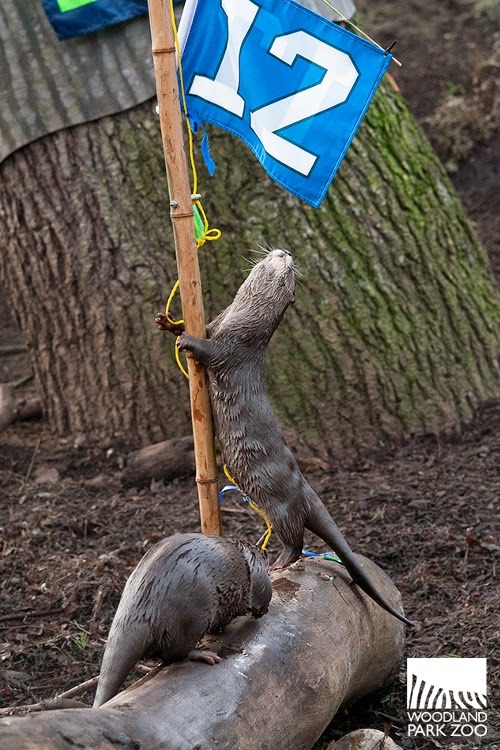 Video: Otters raise the 12 Flag for Seahawks Super Bowl Rally. Produced by Ryan Hawk/Woodland Park Zoo. Sherman took the lead and set the flag waving for Seattle Seahawks fans as we rally for Super Bowl XLIX. 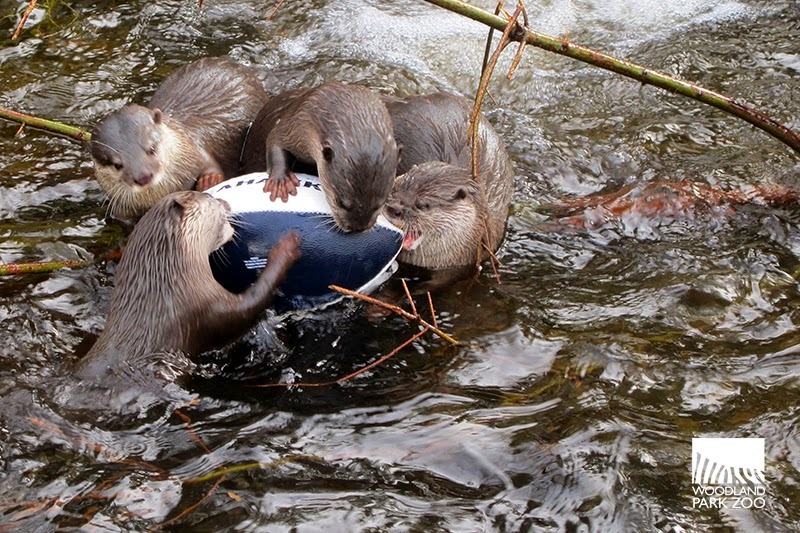 Then the otters got down to business for a little scrimmage, showing off their vertical and secondary defense. 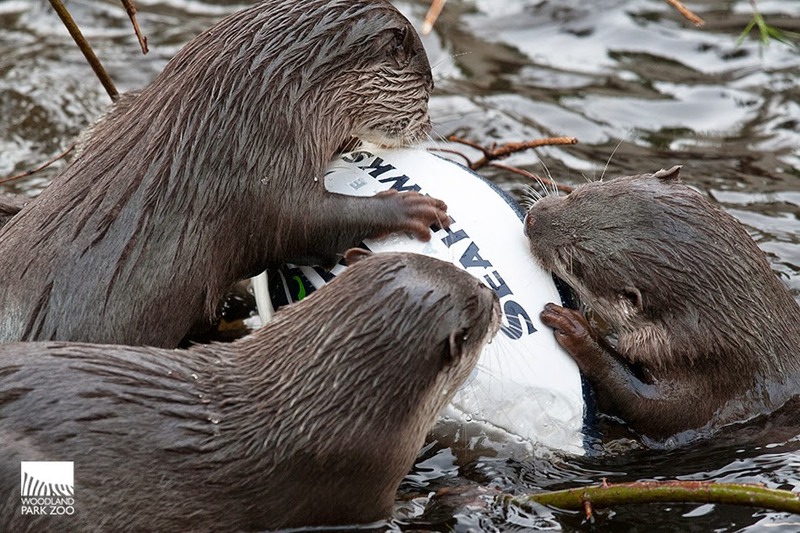 The Mini Legion of Boom, four otter brothers born at the zoo in 2013, were named after the Legion of Boom as a tribute to the Seahawks explosive secondary. 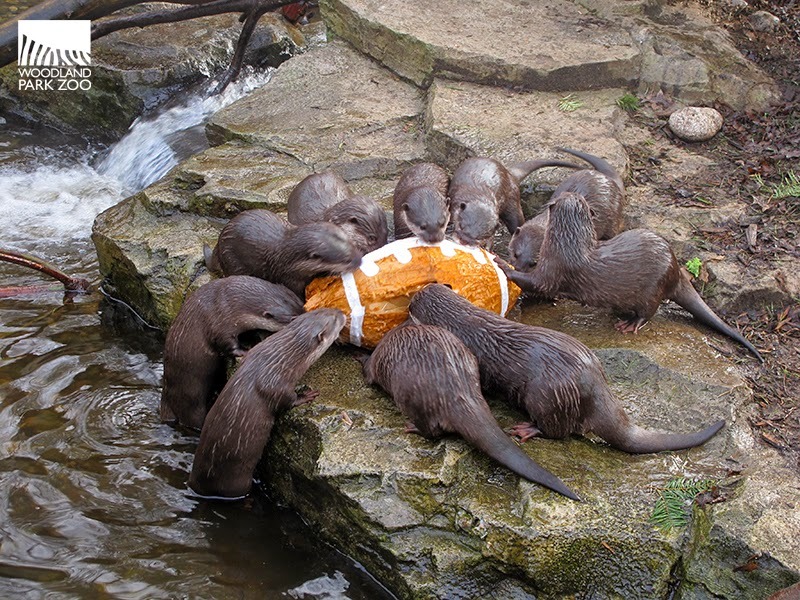 The otter brothers live with their parents and four younger siblings. 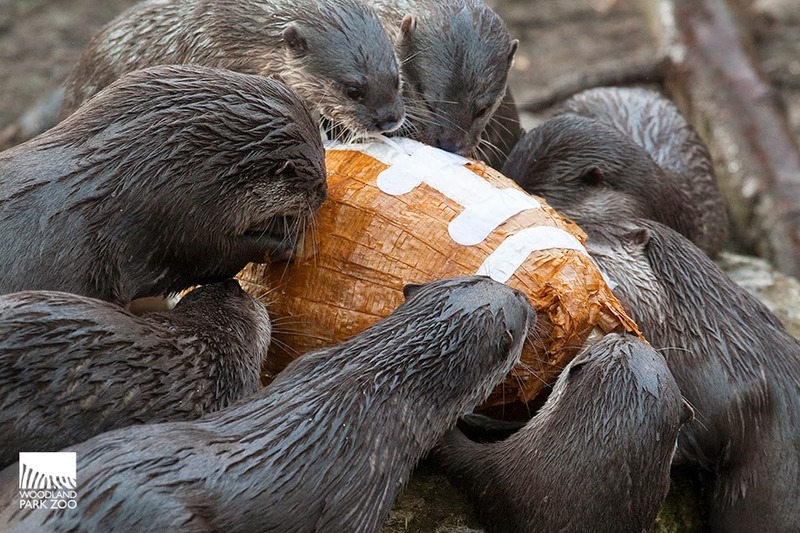 What would a Super Bowl be without a friendly wager with a New England zoo? We’ve got a great one going with Roger Williams Park Zoo in Rhode Island. First off, the winning team will send a branded zoo shirt to the losing team and the losing zoo’s CEO will wear it while shoveling poop and posing for a photo. Gnawesome. Photo by Kirsten Pisto/Woodland Park Zoo. 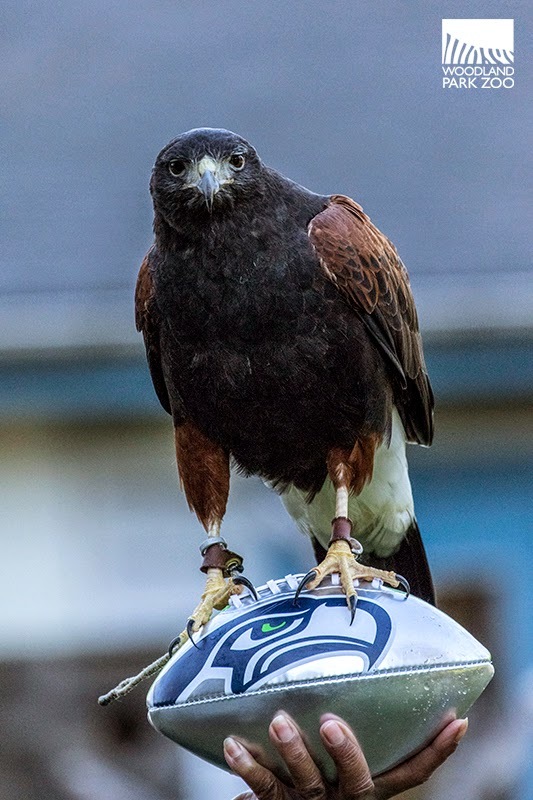 But in the spirit of how much community pride we have in our Seahawks, we’ve got something even better at stake—the losing zoo will buy 50 zoo admission passes and donate them to a Boys and Girls Club in the winning team’s city. It’s a win-win bet that benefits kids who might not otherwise have the opportunity to visit the zoo. The secret treat inside the piñata? Worms! 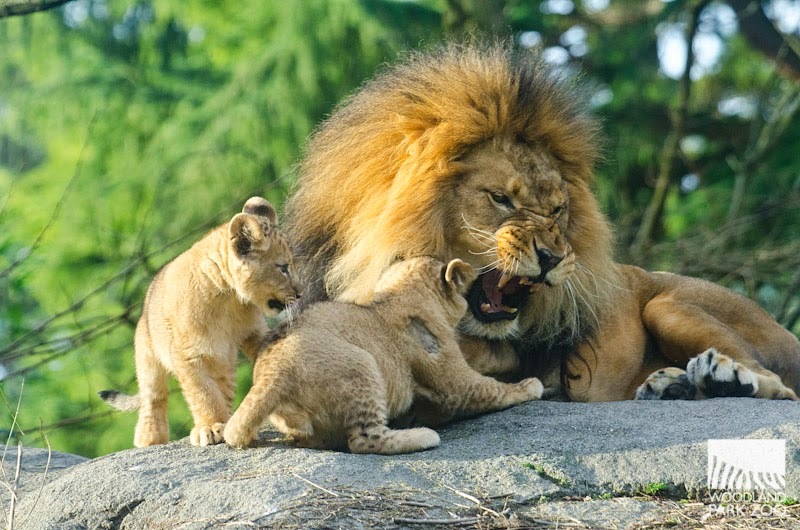 Photo by John Loughlin/Woodland Park Zoo. Wave that flag! Photo by John Loughlin/Woodland Park Zoo. 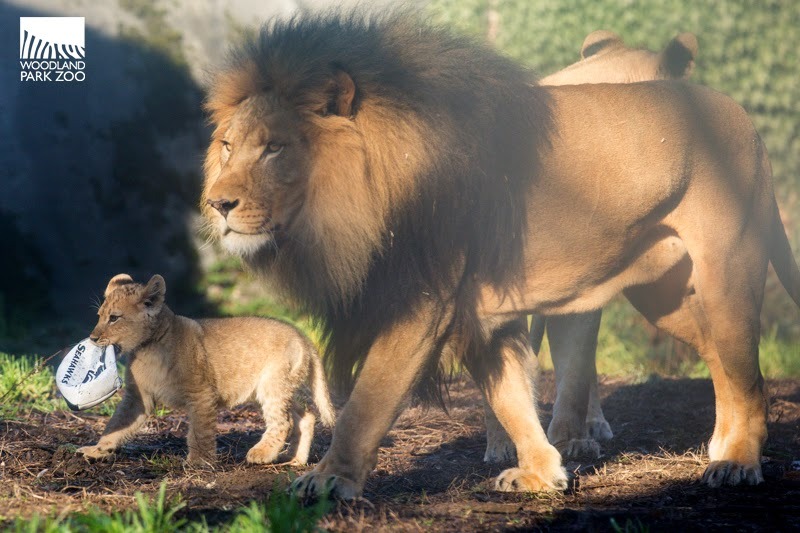 With the help of zoo fans, proud papa Xerxes chose Gandia and Mandla as names to complement Tandie, the first name chosen by community members in an online poll. Here comes trouble! Tandie, Gandia and Mandla get a snarl of approval from dad Xerxes. 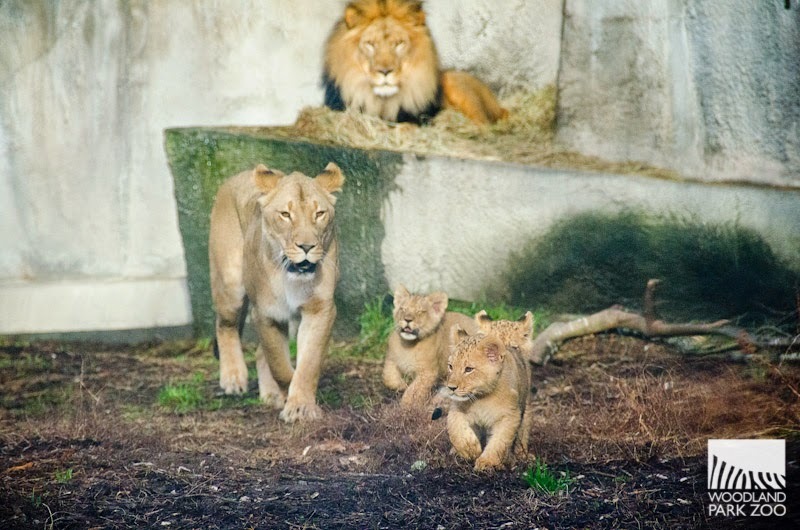 Naming lion triplets is not an easy task, so we asked you to help parents Adia and Xerxes with the decision. 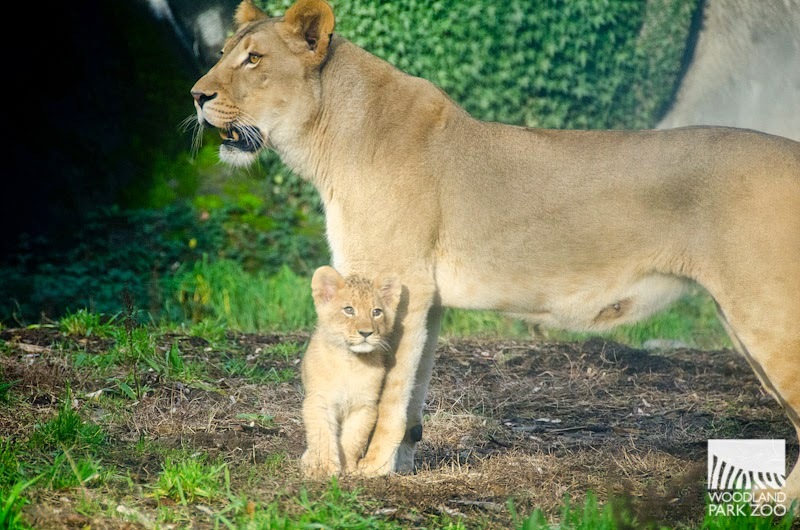 First, 10 names were selected by the zoo’s lion keepers and derived from languages that reflect parts of the South African lion’s native range. Then, during the zoo’s two-week online naming poll, voters chose their top preferences. On Tuesday we revealed the name with the most votes, Tandie (meaning “fire”). Mom Adia and dad Xerxes weighed in today to choose from runners up Gandia, Mandla and Pule. Keepers used this opportunity to introduce the new family to some enticing enrichment. They presented Adia and Xerxes with three items, each associated with a name. As Xerxes crested the hill to sniff out the enrichment, mom Adia was more interested in tending to the cubs, who were zipping all over the yard. Xerxes strolled right up to “Gandia,” and very deliberately stuck his nose deep into the zebra-painted grocery sack… and the second name was official! 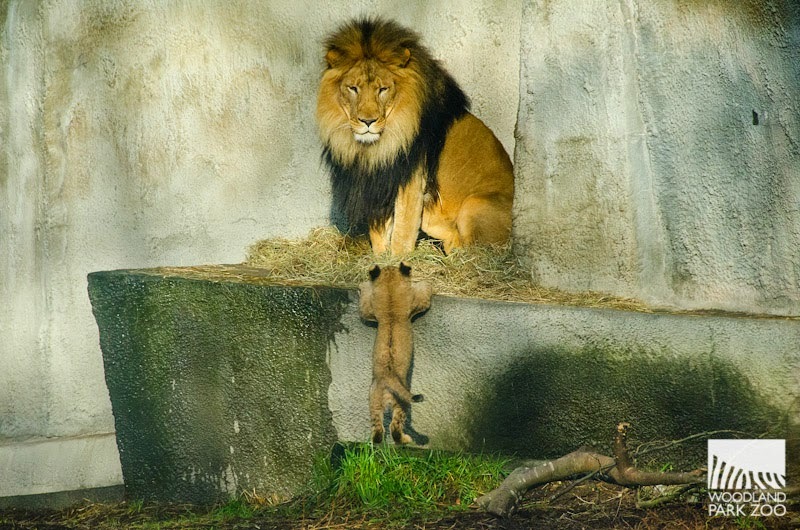 Xerxes did not hesitate for a moment when it came to picking names for his cubs. Every important decision takes time, so Xerxes thoughtfully chewed on his meat treat from the “Gandia” bag for a moment. Then, after a slight pause, Xerxes made “Mandla” official by ripping the next bag to shreds. Adia, being the fantastic mom that she is, put on quite the display when she stared down the onlookers. She was patient at first, but after a few too many cameras showed up she was all too ready to defend her family. A hair-raising growl reminded us all that no one better mess with these cubs! Adia has her paws full with these three! And what were the cubs doing while this momentous naming was taking place? Nothing like a good dirt grovel to celebrate new names! The three boys were somewhat interested in the meat treat enrichment, but they were way more absorbed in watching mom and dad—and climbing trees—and chasing the ducks. Congratulations little cubs, now we just have to remember who is who! Hanging with dad during bath time. The cubs’ outdoor schedule remains intermittent. As warmer, dry weather allows, the cubs will continue to make increased appearances in the zoo’s award-winning African Savanna exhibit. We are just slightly excited about Sunday. 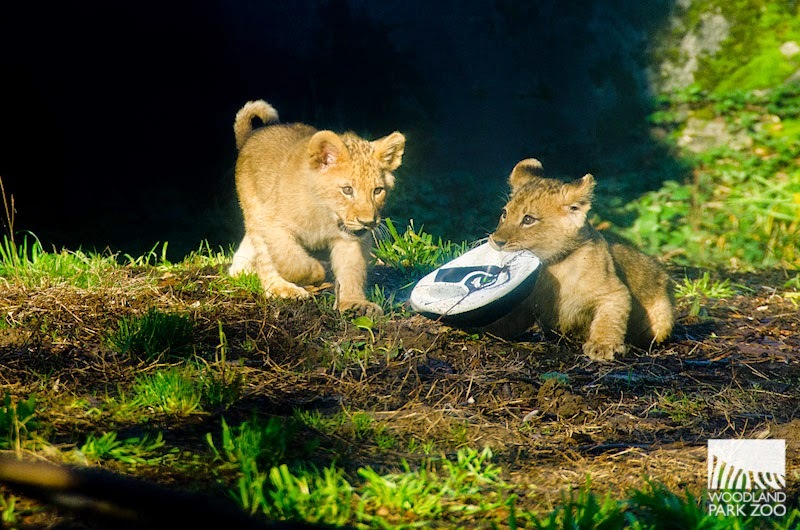 Watch the lion triplets go into true Beast Mode with their Seahawks footballs. The cubs got us all pumped for the Seahawks Super Bowl Repeat! 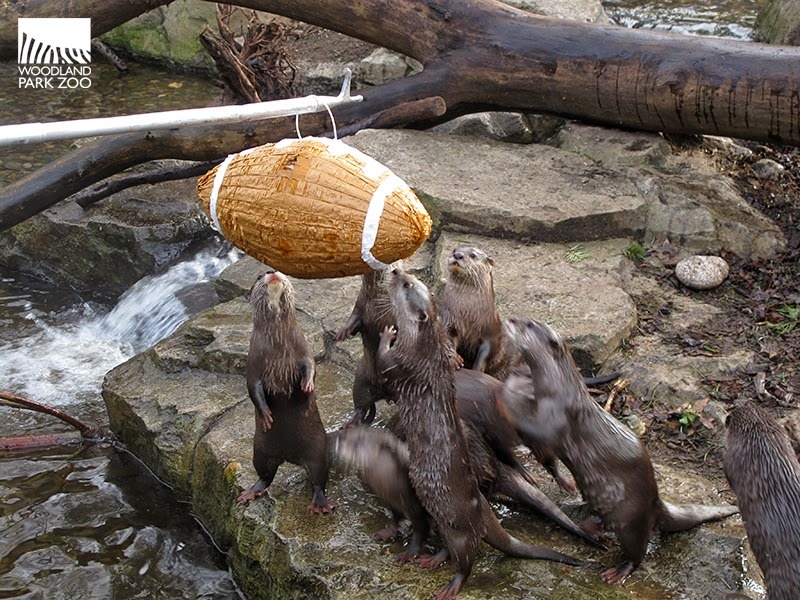 The boys, along with mom Adia and dad Xerxes, were given the footballs as enrichment while the young cats explored their exhibit. Aruba Island rattlesnake. Photo by Ryan Hawk/Woodland Park Zoo. Behind the scenes of Woodland Park Zoo’s Day Exhibit—home to timid tree ‘roos, slow-moving tortoises and venomous snakes—is a refrigerator full of antivenom, life-saving treatments for less fortunate encounters with poisonous reptiles and amphibians. While snake bites are (thankfully!) 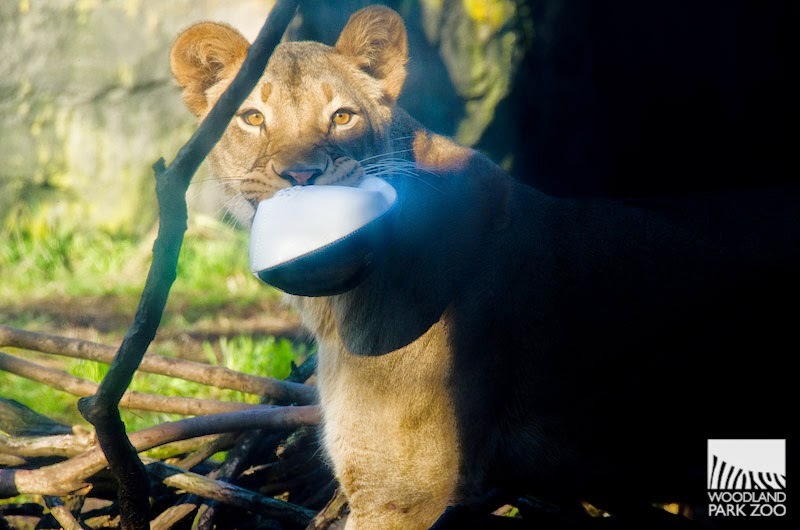 a rarity among Woodland Park Zoo keepers, doctors at the Washington Poison Center have witnessed their fair share of poisonous bites. Dr. Jenny Pramuk tours Washington Poison Center and Harborview staff around the zoo's snake collection. Photo by Ryan Hawk/Woodland Park Zoo. 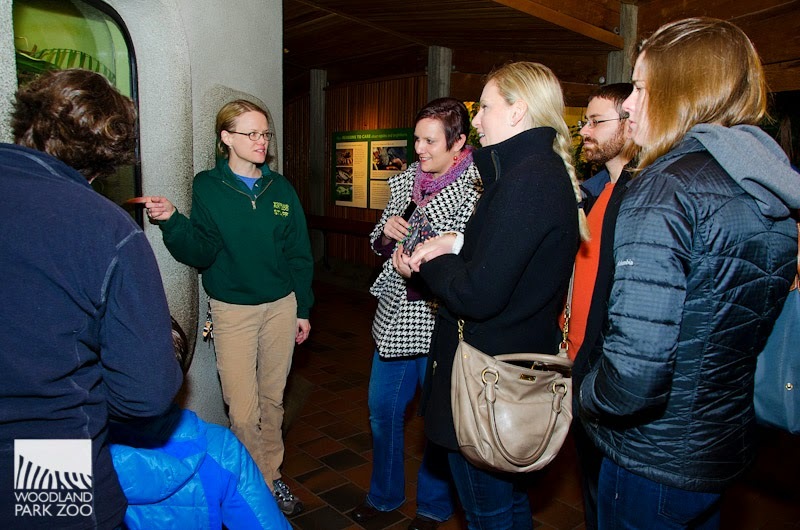 Recently, Woodland Park Zoo’s curator, Jenny Pramuk, welcomed Washington Poison Center and Harborview staff on a tour through the Day Exhibit, to see up-close the zoo’s most venomous animals and behind-the-scenes antivenom supply. The zoo partners with Harborview Medical Center on performing venomous snake bite drills and educational opportunities for staff. King cobra. 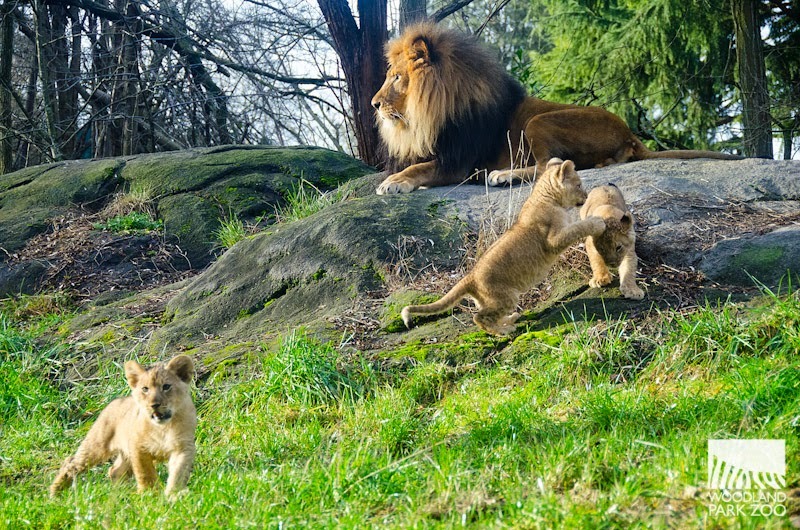 Photo by Mat Hayward/Woodland Park Zoo. Woodland Park Zoo stocks five types of foreign antivenom that provide coverage for the dozen species of venomous snakes living at the zoo. These kinds of antivenom are considered experimental drugs in the U.S. and can only be kept with strict permits. Since poisonous bites from exotic species are rare in the U.S., most hospitals are not licensed to stock the appropriate antivenom, which makes Woodland Park Zoo’s supply a primary resource for the Pacific Northwest medical community. 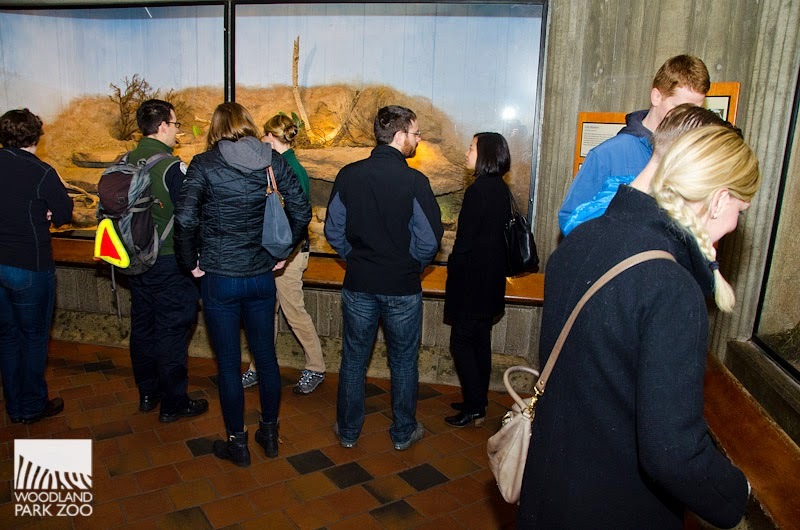 Visiting health staff explores the zoo's Day Exhibit. Photo by Ryan Hawk/Woodland Park Zoo. 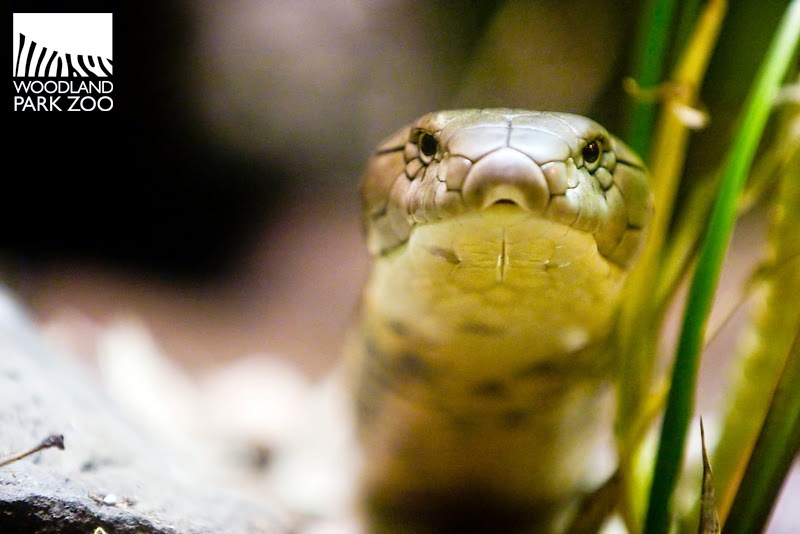 When Washington Poison Center advises snake bite victims to seek immediate medical care, Woodland Park Zoo is often called next. The zoo has advised and supplied antivenom—including exotic antivenom—in more than eight incidents in Washington, Oregon and British Columbia since 2012. 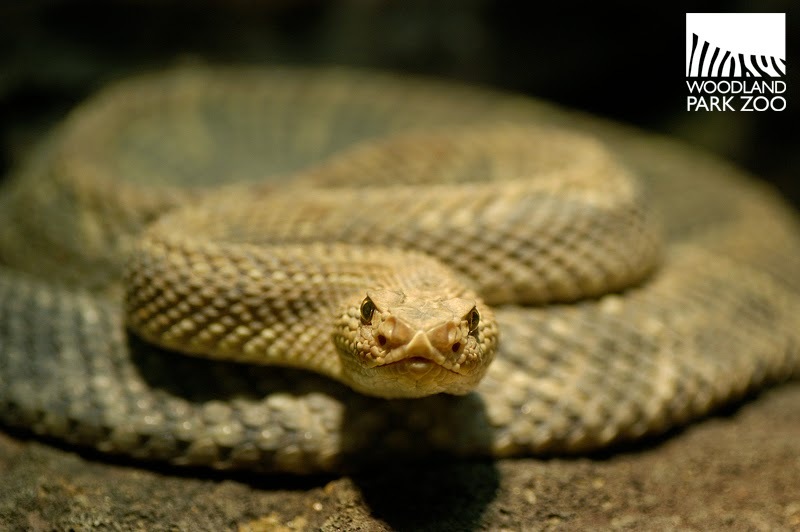 In other cases our reptile and amphibian experts help to identify animals responsible for bites or provide a home at the zoo for confiscated, illegal venomous snakes. A British Columbia man who was bitten by a snake in Costa Rica received antivenom from Woodland Park Zoo. Photo courtesy of Vancouver Coastal Health. 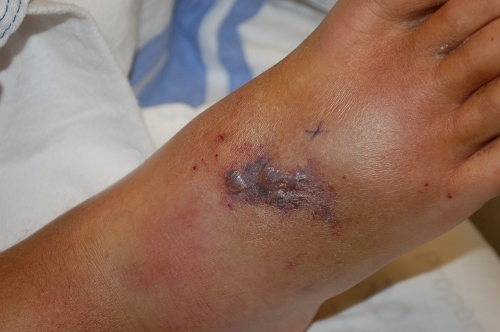 In one instance, a 60-year-old British Columbia man returned from Costa Rica with a serious snake bite that needed urgent attention. Washington Poison Center and Harborview Medical Center looked to Woodland Park Zoo for assistance, and more than 20 of the zoo’s antivenom vials were immediately transported to Canada by helicopter. Thankfully, the man successfully recovered (and he later visited Woodland Park Zoo for his very own tour behind the scenes). 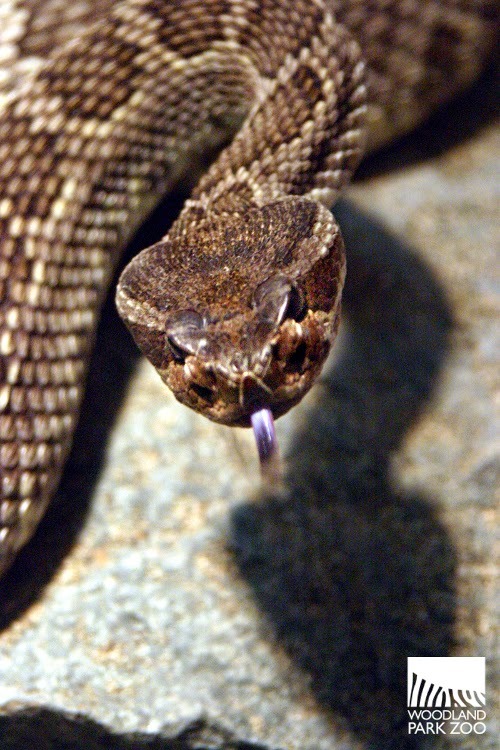 In 2014, we were again asked to provide five vials of antivenom to treat a bite from a puff adder in Portland, Oregon. Northern Pacific rattlesnake. Photo by Dennis Dow/Woodland Park Zoo. Although poisonous animal encounters may be few and far between in Washington, Woodland Park Zoo’s ongoing relationship with the Washington Poison Center ensures the greater community has prompt, reliable access to life-saving treatments. 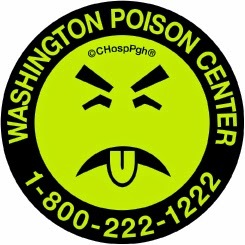 In case of exposure to poisonous, hazardous, or toxic substances, know that Washington Poison Center is available by phone 24/7/365 to provide free, immediate and confidential advice. Stay safe! 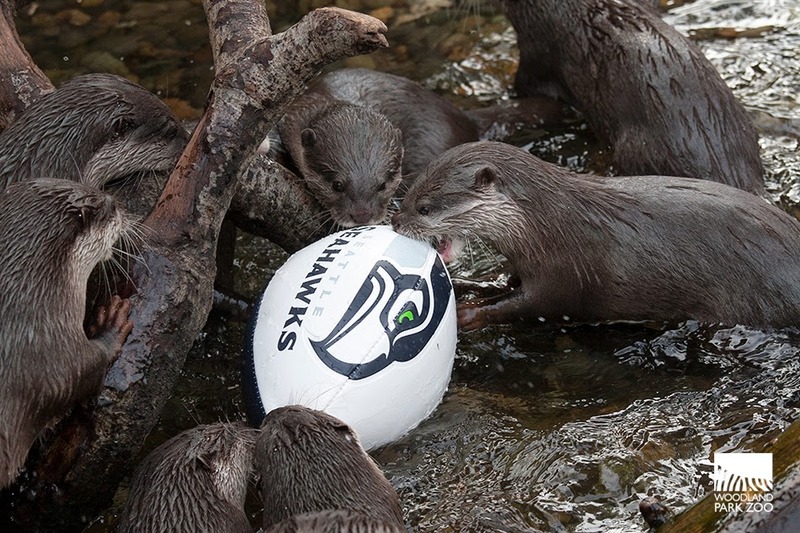 The Seahawks 12s are getting wild! Animals across the zoo showed up to the pregame today. Penguins, lion cubs, lemurs, grizzly bears, wolves and even a few tropical frogs joined the roster. We’re cheering on the Hawks as they advance to the NFC Championship. Special Seahawks enrichment treats from their keepers coaches motivated these athletes to execute those football moves! We started off with a three-cub drill to evaluate the agility, quickness and movement of the youngest lionbacks. They showed great promise with their ball handling skills and lightning-fast pass rushes. Let’s just say Earl Thomas would be mighty proud of these cublets. Mimicking Richard Sherman, this cub performed a sneak cornerback takeaway from his brother. A true cornerback pick. Mom Adia got in on the game too, but her contribution was complete Beast Mode (AKA watch yourself). You know she was channeling Marshawn Lynch when she stared down the camera. No words necessary. Xerxes showed exemplary skills in blocking and protecting the cutest quarterback ever. Go Xerxes, you are totally Max Unger-esque. The wolves took it up a notch with some wild kicking moves. Check out our own Steven Hauschka here in the Northern Trail. 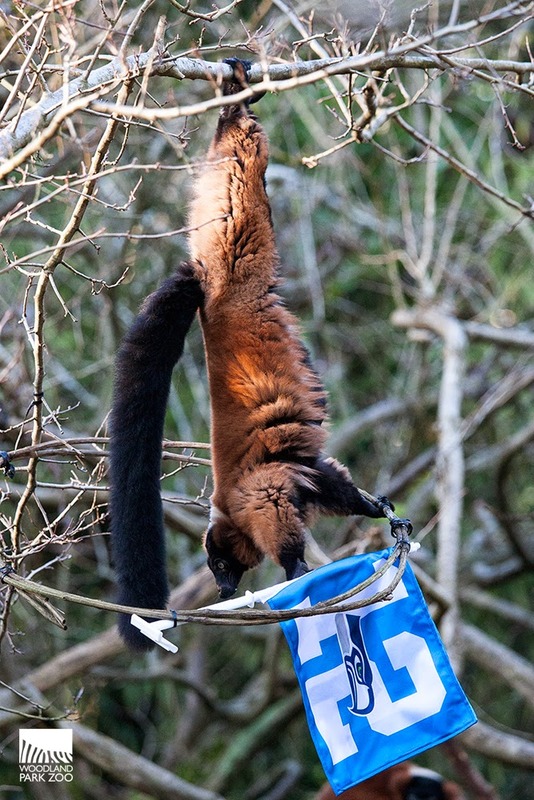 The lemurs came through with some phenomenal receiving moves. This primate’s got good hands! Look out Doug Baldwin. Kam Chancellor knows that leaping over offensive lines is key to blocking field goals. 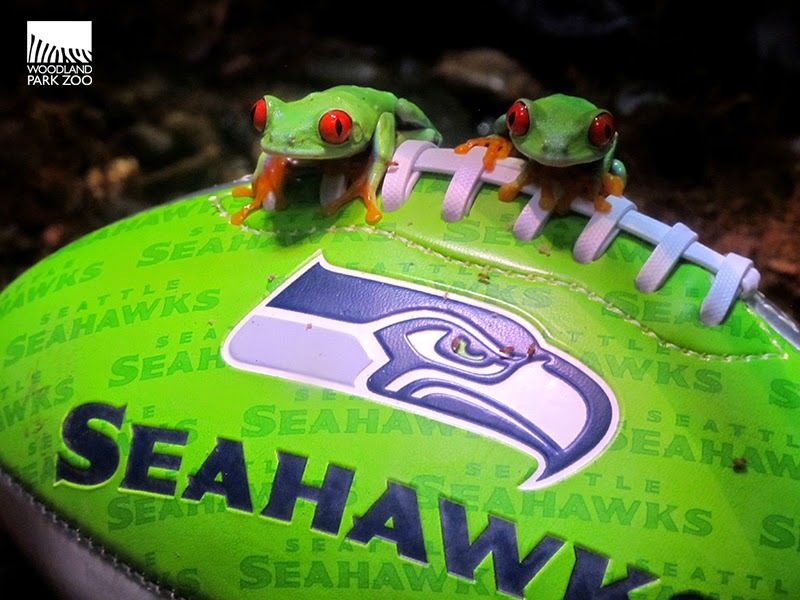 These red-eye tree frogs are ready to defend this football. So ready. Keema went for a pass rush. We’re pretty sure this griz is rooting for Bobby Wagner. When it came to team penguin, it was all about the 12th Man. Fascinated with the flag, these fans preferred bringing the Beast Quake to actually playing ball. We can’t blame them; it’s the best position in the house! There was obviously a penguin huddle. Tiny is mighty! 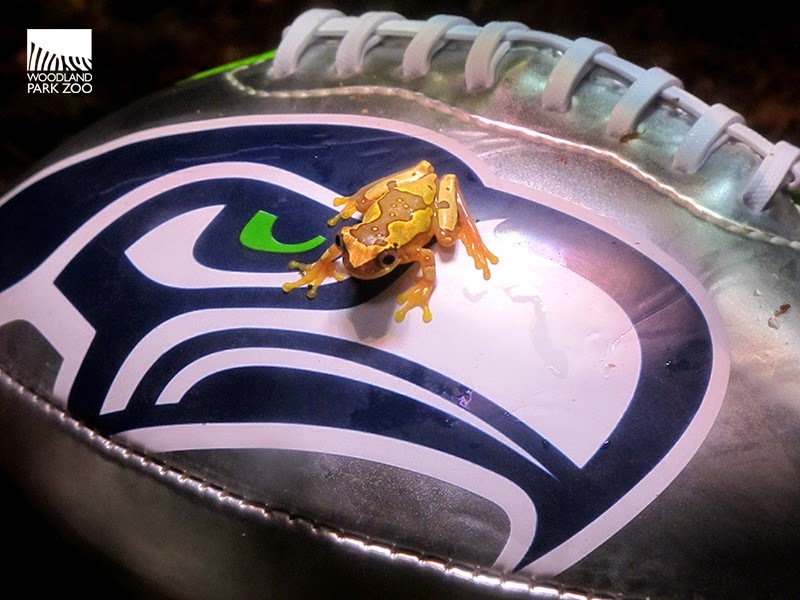 “Why not us?” That’s right little yellow hourglass tree frog, make Russell Wilson proud. Our own Harris’s hawk knows how to rally! Kakawww! All in all it was a fine day for football. And treats hidden inside footballs. 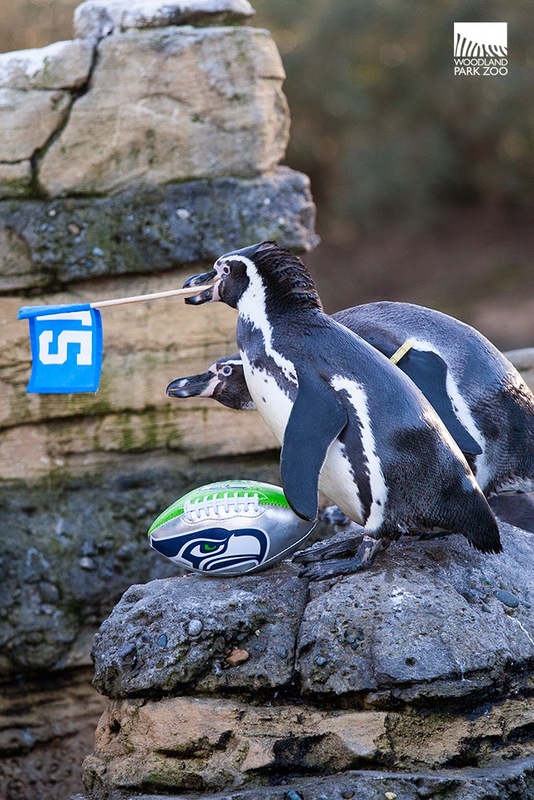 Good luck Seahawks, we’re behind you all the way! 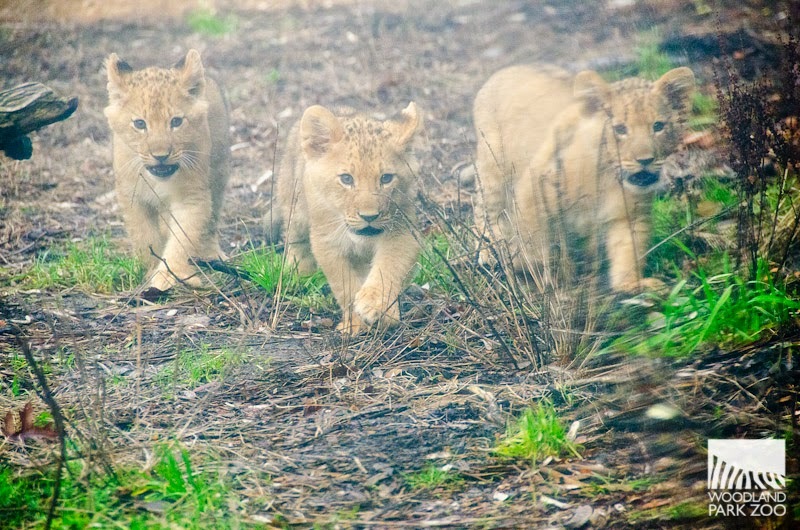 We call them cute, we call them precious, and now we want to call the lion cubs by the names you help pick! 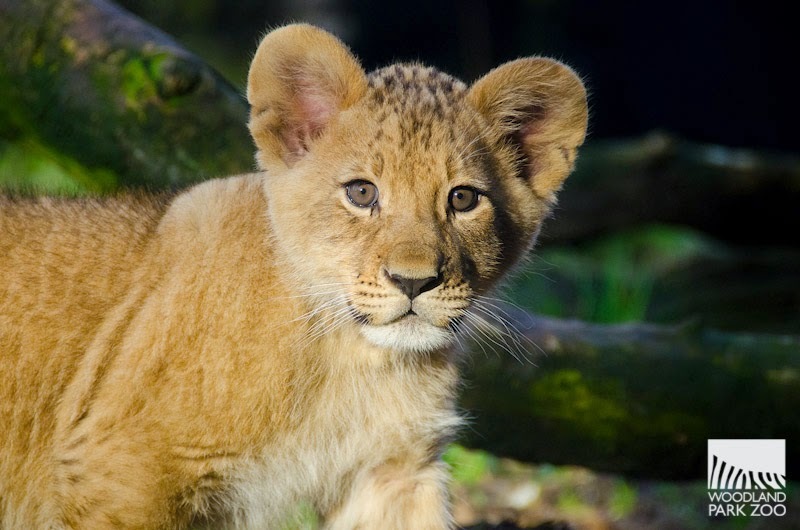 Vote now and you’ll also have the chance to enter to win a random drawing for a ZooParent lion cub adoption. The one name with the most votes will automatically be selected, and then it gets interesting! We’ll take the 2nd, 3rd and 4th most popular names and leave it to mom Adia and dad Xerxes to finish the job. On Thurs., Jan. 29, we’ll present the parents with enrichment choices, each associated with a name, and the two they touch first will be the names they select. We’ll announce all the final name selections and share photos here! Cub 1, Male: The smallest of the cubs is also the most independent and adventurous. Cub 2, Male: This cub enjoys wrestling with his brothers and resting close to mom. Cub 3, Male: The largest of the cubs, this one is protective and is never too far from mom’s side. Did you get outside to enjoy the fresh air today? You weren't the only one! 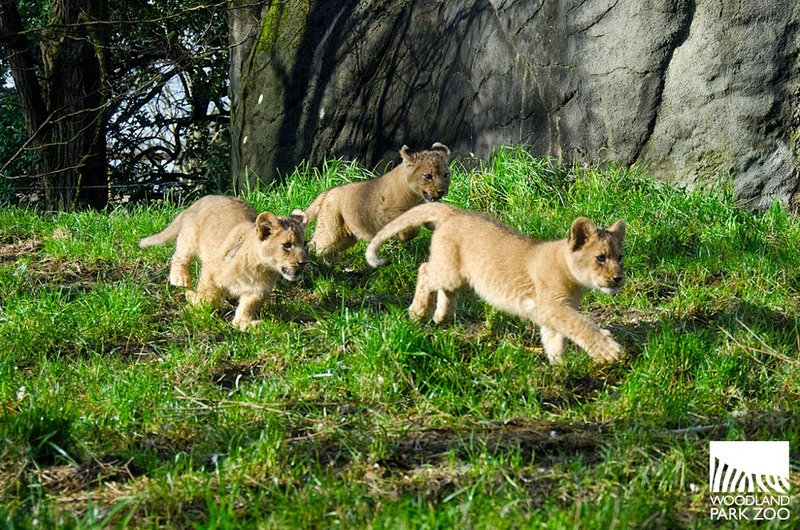 The three lion cubs took their first steps outdoors for a practice session to get them ready for their upcoming (soon to be announced!) public debut. And they were in some mighty big company. At 11 weeks old, the cubs are ready to stretch their legs, and today’s weather was perfect for a quick dip outside. Up until now, the cubs have been spending their days behind the scenes with mom Adia in a den area where they've had a quiet space to nurse, bond and grow. 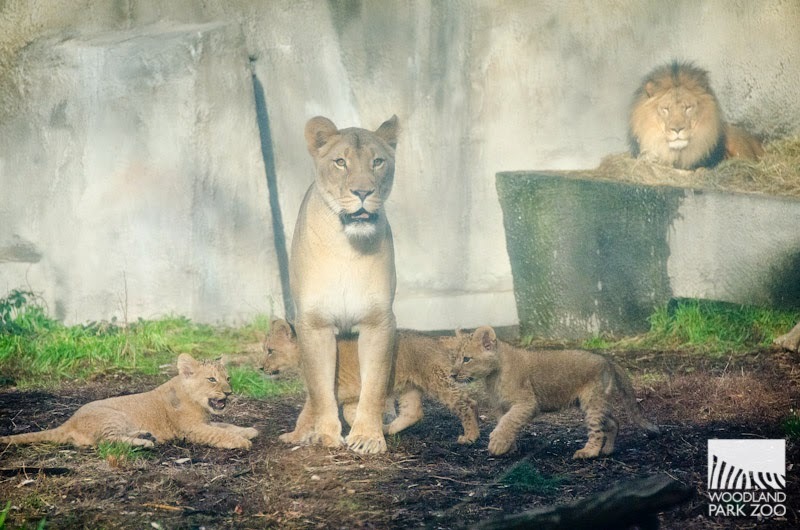 In recent weeks, the cubs and Adia were joined by dad Xerxes for at least 30 minutes a day. This is especially exciting as the father of Adia's first litter, Hubert, was not around her cubs. (He spent his time with another female, Kalissa. The two have since relocated together to Los Angeles Zoo.) 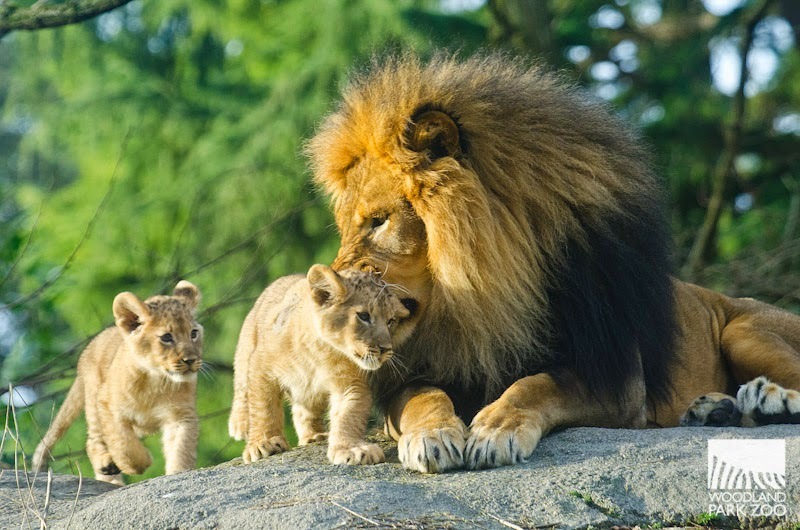 Thankfully Adia's bond is strong with first time dad, Xerxes, and now we have a full pride! 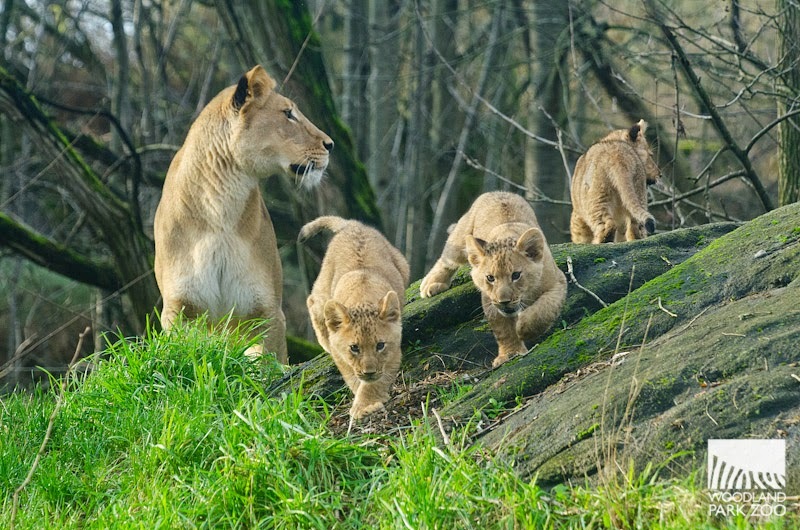 Today marked the first time the pride took their family bonding to the great outdoors. And, boy, was it amazing to see! We might call him the king of the African Savanna, but it was pretty clear that Xerxes wasn't running the show. That role goes to Adia, who is a fantastic mom. She shows patience with the kids and keeps them from getting themselves into any danger. Xerxes is still getting to know the cubs, and he is equal parts curious and cautious around the squirmy, little critters. Adia is remarkably tolerant, but she’ll step in between if she sees rough play or anything else she doesn't like. It didn't take too long before Xerxes had his fill of the fun and retired to a rock perch to sit back and get away from it all. And lucky for him, the rock was juuuuuuust high enough to be out of reach of the cubs, who jumped their little hearts out trying to get up there! The cubs had a ball taking in all the wonders before them: Mud! Water! Rocks! Clumps of grass! And, oh, those clumps of grass…they sure did love them. What’s so great about a clump of grass? You can bite it, you can stomp on it, you can crawl through it, and you can spring attack your brothers with it! Their little outdoor adventure lasted no more than 1 hour and was enough to wipe them out. They’ll be sleeping through the night, that’s for sure! A few more practice sessions like this as the weather cooperates, and soon the cubs will be ready to officially debut. Please know that because of these intro sessions, we cannot guarantee any viewing hours at the lion exhibit right now, and you may encounter some barriers at the exhibit when space or quiet is needed for the family. Your patience will be greatly rewarded once the family settles in comfortably in the coming weeks. We’ll be sure to share updates when the viewing schedule comes together. In the meantime, we’ll be looking for your help to name our cubs. Look for an announcement next week! 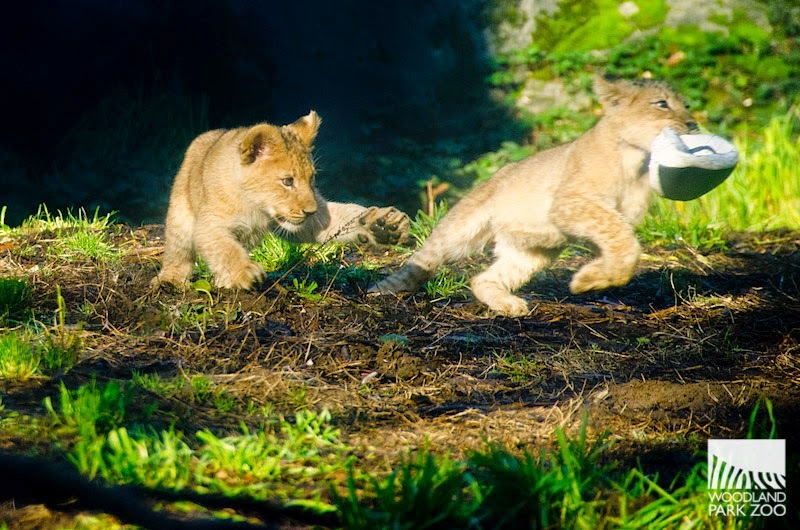 Video: Lion cubs explore the great outdoors at Woodland Park Zoo. Video by Kirsten Pisto/Woodland Park Zoo.